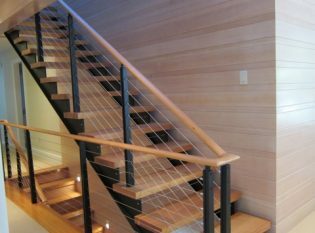 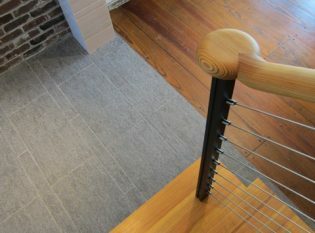 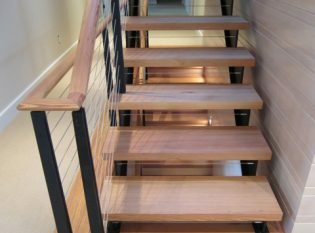 Description: Custom Style cable railing and custom floating staircase. 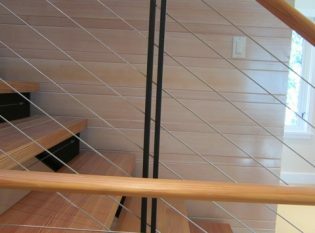 Lynn Hopkins of Lynn Hopkins Architects challenged our designers to come up with a way to sandwich the cable railing termination fittings inside the railing posts. 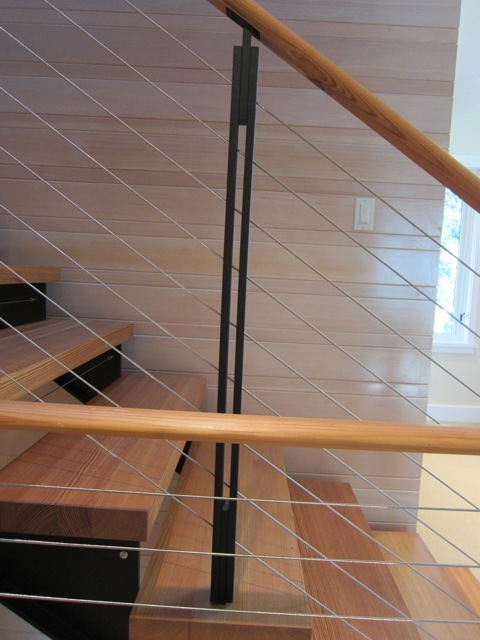 Our team was able to produce a seamless custom design that conceals all hardware. 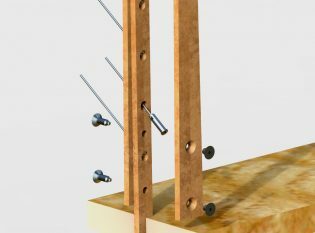 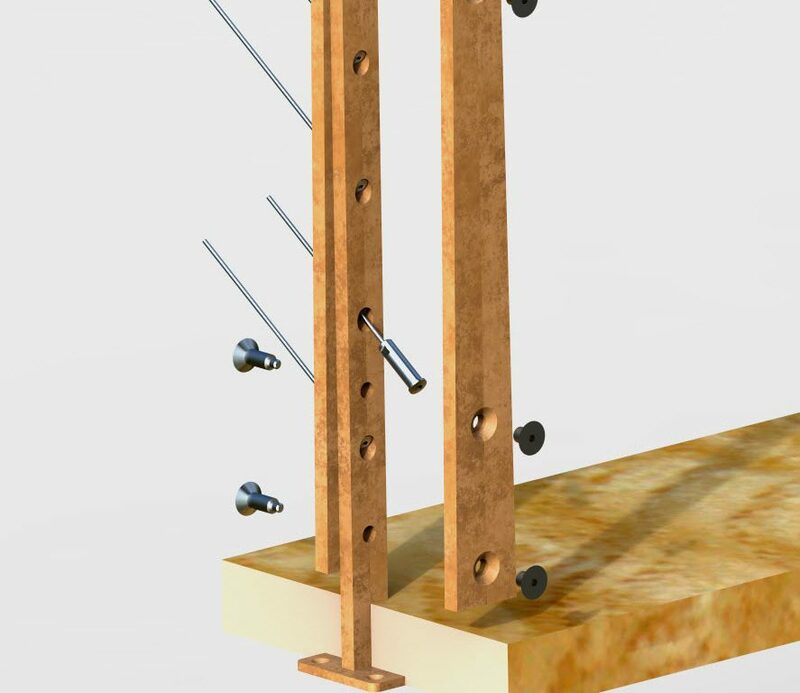 Not only does do the posts hide the fittings, but the flooring hides the mounting plates underneath. 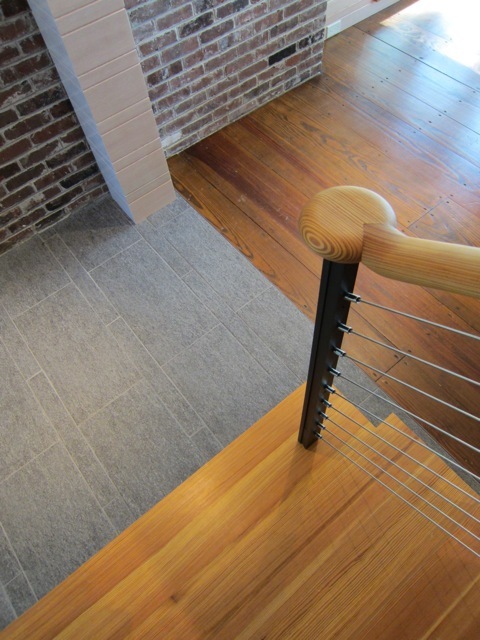 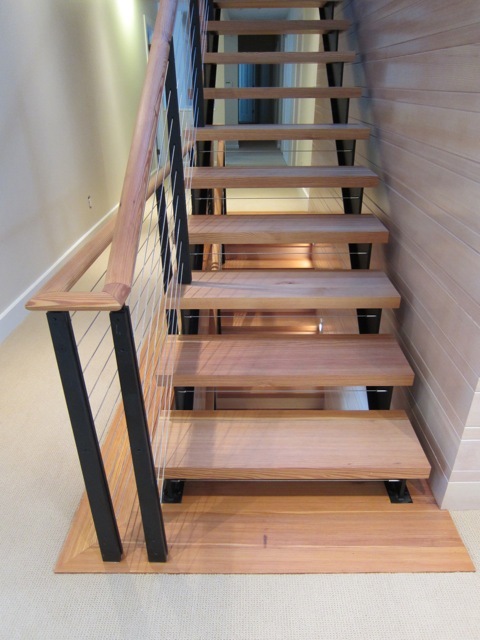 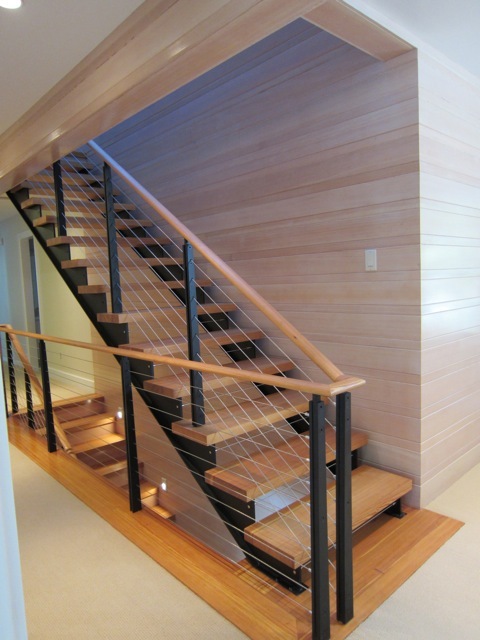 As a result, this floating staircase and accompanying railing system have a clean, modern look.